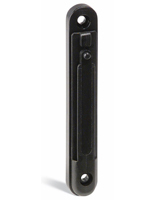 These retractable stanchions are from the Tensabarrier product line, which includes crowd control posts as well as various accessories and toppers. The satin chrome posts measure 38 inches tall and are fitted with a weighted round base for added stability. 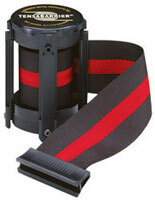 These retractable stanchions are sold with a 13-foot-long black belt that has a red stripe down the middle. 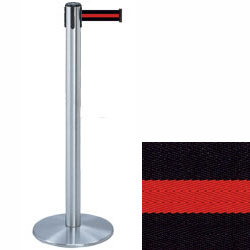 The Tensabarrier crowd control posts work best when utilized in groups to create unique traffic flow models for guests to follow in a retail or a hospitality setting. Learn how to get the most out of your crowd control system with our one-of-a-kind guide!.